You will first need to gather ingredients such as vegetables, herbs, and spices (a). Then, prepare them in desired sizes. 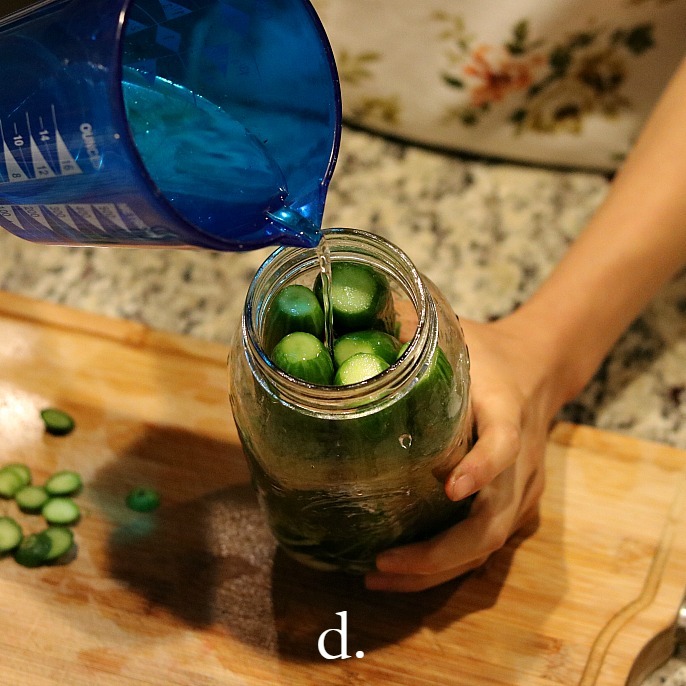 In fact, you could place the whole pieces of vegetables, such as the entire baby cucumbers and baby carrots, into the jar if there is enough room. If you use cucumbers to make pickles, make sure the blossom ends are cut off, as they contain an enzyme that will soften the pickles (b). Next, pack the prepared ingredients into the jar as tight as you can, leaving as little air inside as possible. 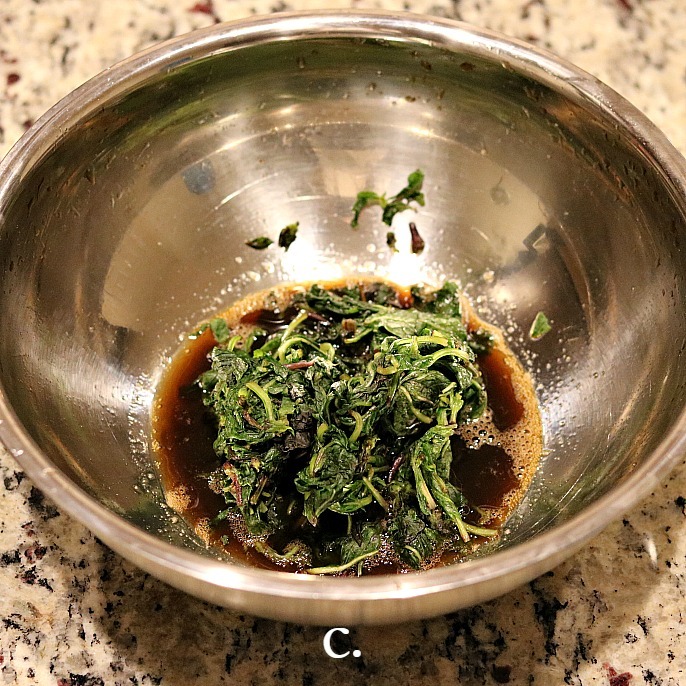 In my experiment, I used black tea leaves from a teabag as my source of tannins; and I placed them in the very bottom of the jar before I packed in everything else, as adding these leaves last may cause them to remain on the brine surface (c). Once this is done, pour in the salted brine (d) with about 3% salt content (around two teaspoons of salt per cup of water). After you make sure the ingredients are well submerged in the brine, you can add in special leaves of your choice as followers. In my experiment, I did not add followers on the top of the cucumbers. That’s because if you pack enough cucumbers tightly together, this should be enough to keep them from floating to the surface of the brine. 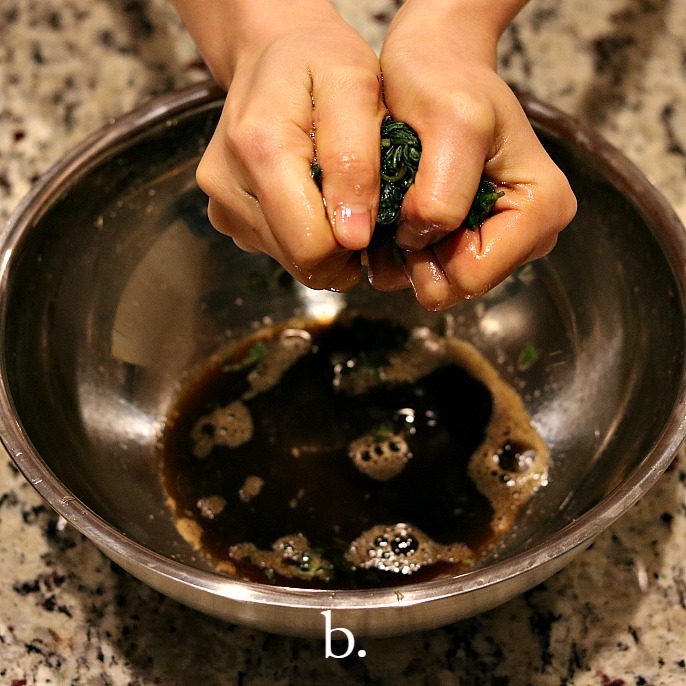 You may see a little bit of tea leaves or bits of herbs float to the surface. In this case, you may scrape them out or just leave them on the surface. I personally found that the small amount should not influence the fermentation process. Make sure there is some space between the top of the brine and the rim of the jar, followed by adding a lid to seal the jar (e). Do not forget labeling the bottle with a date and other notes, if necessary. At last, place the jar into a bowl and let it ferment.